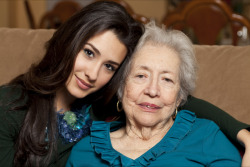 At Ontime Home Health Care Staffing Agency LLC, we recognize that there are individuals who are unable or are experiencing difficulties when it comes to taking care of themselves. Whether it’s due to a disability, an illness, or frailty due to old age, we are here to provide Personal Care services that will surely help. Our caregivers can provide personal care services such as: Grooming (hair care, shaving, cleaning teeth/dentures, makeup, dressing), Hygiene (tub, bed or sponge baths, showers, toileting activities), Mobilization (turning, lifts and transfers, exercising, walking),eating or feeding, as well as monitoring of vital signs such as blood pressures, pulse and respiration, and more. To acquire Personal Care Services in Cleveland, Ohio, get in touch with us now by dialing 440-353-1012.